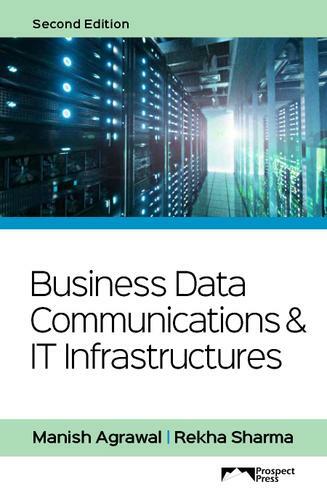 This text is designed for a one-semester course in Business Data Communications and IT infrastructures. The IT infrastructure is one of the growth areas of the economy because information exchange is becoming an increasingly important part of peoples lives. This book focuses on providing working knowledge of data communication and IT infrastructure concepts that most students are likely to encounter within the first five years after graduation.